Not only did new lending restrictions bring new home construction to a screeching halt, but the sudden drop in home values made the business not only less available but less lucrative. Many construction firms shuttered, leading to a significant decline. In fact, 16.6 percent of construction firms disappeared between 2007 and 2012, accounting for a nationwide loss of some 2 million jobs. For years, the markets that weathered the recession storm well, like Houston and Dallas, did so with a tight housing inventory. The lack of inventory due to both homeowners refusing to sell and new construction unable to keep pace with demand led to inventory as low as 3 months. Home construction is taking a turn in a positive direction, particularly for Dallas and Houston—two of our investment markets—and things are looking up. According to Realtor.com, Dallas and Houston (ranked first and second, respectively) are building the most new homes in 2019. With Dallas coming in at 63,421 new permits and a 2.8 percent year-over-year change and Houston with 57,021 new permits and a 33.6 percent year-over-year change, both cities have the most new construction happening in volume, even over New York City and Los Angeles. Both Houston and Dallas were among the hottest markets in the post-recession United States. What this led to was a massive population surge due to job opportunities while in many other markets opportunity had evaporated. However, the tight housing inventory in the face of population growth and market demand led to rapidly increasing home prices—prices that many feared would lead to a bubble and subsequent crisis. We're seeing now a rebalancing of the market thanks to increasing construction and rising interest rates. With construction increasing, there are more options on the market for homebuyers, which keeps prices and bidding wars in check. When the market is less in full control of the seller, prices can remain more balanced and in line with income growth. 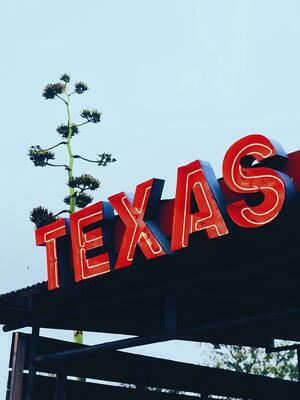 Texas is known for its more affordable land and real estate, and that is still the case, even as median Dallas list prices come in at $335,700 and Houston at $310,100. New home construction is an indicator of market health, plain and simple. When there is new home construction it is indicative of demand in the market. There is population growth and there is then a need for homes to house that population. We know this is true of both Dallas and Houston. Dallas has seen the relocation and expansion of big-name companies like Toyota, and both markets have seen the rapid growth and diversification of their local markets and small businesses despite oil industry woes. The job markets in Texas are among the strongest in the nation, and it's being reflected in home building. Not only is new construction reflective of market health, it actively contributes to it. Though new construction is undoubtedly more expensive than older homes on the market, the increased inventory serves to keep the housing market balanced and in check. When housing options increase, housing continues to be affordable—something that has long been a boon for these two Texas markets. Affordable and plentiful options attract and keep the growing population, including new businesses, owners, and entrepreneurs, which in turn keep the economy vibrant and healthy. A lack of new home construction, over time, can push a population out and hurt the economy. This increased inventory will serve to keep both markets healthy in the long-term, even as some would worry about a market slowdown. There is a difference between balance and a slowdown, and we certainly see the former. What do you think about the happenings in these two Texas markets? Share your thoughts in the comments. Take advantage of turnkey investment opportunities in Houston and Dallas today.